This is more than a competition. This is innovation in action. PepsiCo's Global Student Challenge is a unique opportunity to pitch your own big idea. The chance to respond to a real, thought-provoking challenges that could make a difference on a global scale. Are you a UK university student? Got a great tech idea that could help your community? When that lightning bolt of inspiration strikes, it’s time to enter the Barclays Local Genius Challenge. It’s your chance to find mentoring, skills workshops, and the expert training to help get a business off the ground. 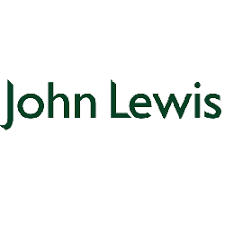 The John Lewis Partnership has launched a competition to find leading start-ups and established businesses to help shape how they shop in the future. In a world of endless aisles and faceless interactions, a key part of the John Lewis Partnership's strategy is to reinvent the role of retail, and invest in personalised services and experiences in our shops - such as concierge-style shopping; personal styling, craft workshops, cinema screenings and a rooftop ice rink. This competition is being run through their retail innovation programme, JLAB, which is one of the largest innovation programmes in the UK and has been running for five years. JLAB provides start-ups and businesses with access to expert advice from across the Partnership, customer panels, a chance to launch trials and pilots, office space and possible financial investment. It follows two other JLAB challenges earlier this year which looked at innovation in the field of health and wellbeing and reducing the impact of plastic waste. The 2019 FSB awards are now open for entries! This is why we choose to keep entries to the awards free and have them open to all small businesses and the self-employed, whether they are current FSB members, or not. Winning an FSB Celebrating Small Business Award is a great way to showcase your business achievements and celebrate business success, brilliance and innovation. Morgan Innovation & Technology have been helping innovators and inventors to bring new products to market for over 30 years. To celebrate their 31st anniversary, They are again running the Morgan Innovation & Technology Prize which will award £31,000 of R&D services to the product that the judges feel has the potential to make the biggest impact and will make the best use of the prize. The hunt is on for the best student and graduate business ideas! Are you a college or university student or did you graduate anytime after 2013? Are you running a business? Or do you have a business idea that could be the next big thing? Fancy winning a whopping £10,000, a national title and more networking than you can shake a stick at? Then the NACUE Varsity Pitch Competition 2018 is for you! Every Sunday former Dragons' Den judge Theo Paphitis picks six small business owners to retweet to his thousands of Twitter followers. 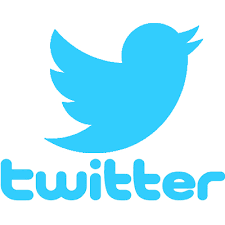 For the chance to be selected tweet @TheoPaphitis with the #SBS hashtag between 5pm and 7.30pm on Sundays. "...there will never be a 'perfect time'. 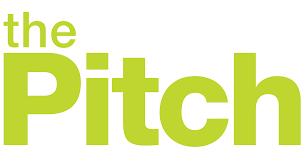 Start your application to The Pitch today to win a money-can’t-buy mentoring package and national exposure. Participants get the chance to attend free boot camps. The day-long events include access to a professional pitching coach, practical workshops and an opportunity to build confidence and gain validation from your peers. The Unloc Enterprise Challenge brought to you by Verizon is a new online entrepreneurship competition looking for people aged 16-25 with fresh and innovative business ideas. We are reaching out to a Pan-European audience searching for great start-up business concepts from The Netherlands, United Kingdom, France, Germany & Sweden. Applicants will compete to win the overall prize at the grand final: £5,000 of funding for their startup, a mentorship package and a technology bundle to accelerate their idea. Applications will be judged on three key factors: Viability, Sustainability and Creativity. The MSDUK 2018 Innovation Challenge is now open! The MSDUK Innovation Challenge is about identifying innovative & diverse entrepreneurs from ethnic minority backgrounds across the UK. Pitch your innovation, win exciting prizes, recognition and opportunities to build your business. Top Ten finalists will be given the opportunity to pitch on a global platform, to Senior Global Business Leaders, attending entrepreneurs and investors at the MSDUK 2018 Conference & Awards on September 26th, 2018. Want a share of £1,000,000 in prizes? Fancy pitching your business or bright idea to Richard Branson – for more exposure than you can shake a stick at? You can. Because the UK and Ireland’s most exciting pitching competition is back. Where will the investment come from? The investment comes from a dedicated SEIS fund, launched specifically to back the qualified winners of the series of competitions. A hands-on interactive business support programme, fully funded by the European Regional Development Fund. * receive valuable feedback to shape your proposition from the speed mentoring session. Applications for February and March are now closed, other programmes to be announced. Rise London organise mentoring sessions on a regular basis where startups get matched with mentors from Barclays and from the bank's corporate partners. Register your interest to attend and someone from our team will contact you about our upcoming mentoring events. The Smarter Future programme provides start-up funding of £5,000 and exclusive mentoring sessions with Shell business experts to one winner per month to help young entrepreneurs with the most innovative business ideas to tackle the biggest energy and resource challenges we face. The nest team will advertises a variety of competitions for startups and early stage companies. If we think you are a strong candidate then we may also contact you directly with relevant opportunities. In the past our student and graduate entrepreneurs have done well in competitions such as the Young StartUp Talent (Solent Region) and The National Santander Awards. Of course, we also hold our own annual competition every March, the Enterprise Showcase, where you can nominate yourselves or others to receive one of the highly sought after awards. Keep an eye on our social media after Christmas for how to get involved.